Do the work yourself or hire a pro? America has become a DIY nation. Armed with tips from HGTV and YouTube tutorials, homeowners dive headfirst into home improvement projects, expecting professional results at a fraction of the cost. The big reveal, though, isn’t always the stunning transformation depicted on the small screen. While some home improvement projects are easily tackled by the weekend warrior, others often end up costing more in time, money and heartache than bargained for. 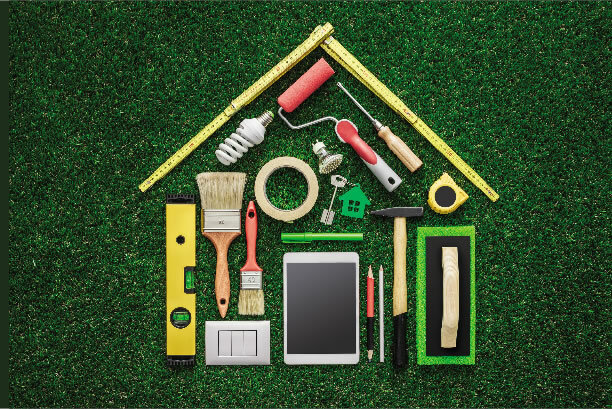 To spare you the agony of becoming the next DIY-don’t, we asked the experts to weigh in on the most common mistakes homeowners make when taking on renovation projects – and how you can avoid them. Municipal regulations require permits for an extensive list of projects, from demolishing walls to installing hot water heaters, while building codes establish minimum safety requirements for different projects, says Scott Allen, owner of Trailboss Solutions and president of the Anchorage Home Builders Association. “Knowing what you can and can’t do without a permit is somewhat important,” he explains. Yet many homeowners fail to obtain the necessary permits or check code requirements, which can lead to trouble. “If you sell, not having permits can cause problems down the road,” Scott adds. A potential home buyer may walk away from a deal without the proper permits, or force you to prove the work was done to code – and that isn’t always easy. “When you’re trying to get a permit after the fact, the city can make you rip open walls to prove the work was done correctly,” Scott says. Which means you may end up spending more money than if you’d hired a professional in the first place. And if you think permit requirements don’t apply just because you’re doing the work yourself, you’ve already committed your first mistake, says Jeff Cooper, owner of Central Plumbing & Heating. Don’t know if your project needs a permit? Make a trip to the Municipality’s Building Safety Office, Jeff says – they’ll be happy to let you know. Any construction site carries the potential for injury. But the risk of severe injury or even death is so high for some jobs that they’re best left to the professionals. Anything related to the roof lands squarely in that category. Extensive electrical work – anything beyond installing a light fixture – should also be left to a licensed electrician, Scott says. An incorrect wiring job can create a fire hazard or pose a shock to someone working on the wires down the road, he explains. A problem Valerie Rizzo-Hurst, owner of Kitchens by Valerie, sees time and again in DIY kitchen remodels is a failure to consider workspace flow. Whether it’s clearance issues with cabinets, appliances that don’t fit into the designated space or a lack of workspace, planning the kitchen’s layout before renovations begin guarantees a functional design, she says. And a professional can help with design, even if you intend to do the renovations yourself. Choosing the right materials for the job – and not just ones that match your color scheme or are the cheapest on the shelf – is a big factor in the success of your project. Knowing when to use a P-trap versus straight plumbing lines, for example, can mean the difference between your home smelling fresh and clean versus smelling like a septic tank, Scott says. Even using the right materials can lead to trouble if you don’t use enough of them, he adds. Inadequate insulation allows moisture to seep into the home, which may result in mold or mildew forming inside the walls. Knowing which materials to use – and how much – comes with experience, Scott says. So when in doubt, seek advice from a professional. The potential for mishaps doesn’t mean homeowners should shy away from DIY projects – there are still plenty they can successfully take on. If you’re uncertain whether you can handle a project, Jeff recommends talking to a professional before grabbing that sledgehammer.